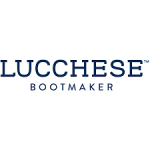 Lucchese is a custom boot and footwear producer operating out of Texas, crafting cowboy boots and other more contemporary styles with a distinct American aesthetic. Working with full grain leather only, most of it locally sourced from Texas Ranches, Lucchese is a luxury footwear brand that usually features limited-edition and small run collections available for sale. Customers can have their own custom boots fit for their exact measurements by working with the in-house designers at this company, with the boots delivered already broken in. Email newsletter subscribers can take 10% off their first full order from this company, and delivery on purchases of $100 or more is free.